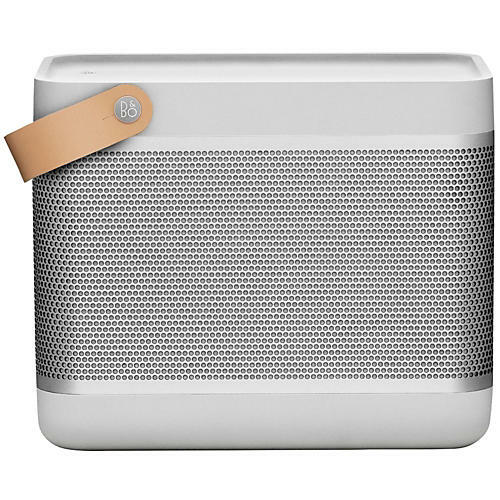 Enjoy high-quality, Tru360 omnidirectional sound with this powerhouse Bluetooth speaker from Bang & Olufsen. You’ll get amazing sound no matter where in the room you put the Beolit 15, and with a peak output of 240 watts, it’s powerful enough to fill larger rooms. Dual Class D amplifiers push the unit’s four active drivers and two passive bass radiators for rich, full-range sound. The Beolit 15’s speaker grid is made from anodized, pearl-blasted aluminum, and features intricate holes positioned for optimum sound dispersion. The anodized finish protects the aluminum from scratches and corrosion while lending an elegant industrial, modern styling. When you’re using the Beolit 15 away from a power source, the onboard battery provides up to 24 hours of music on a single charge. And while you’re most likely to take advantage of its Bluetooth connectivity to play and control your music remotely, the speaker also features control buttons on the top surface that give you tactile command of volume, power, and other features. The handle on the Beolit 15 is made from premium full-grain leather, which is carefully positioned to avoid the speaker from wobbling when carried around. As it ages the leather takes on a unique patina.